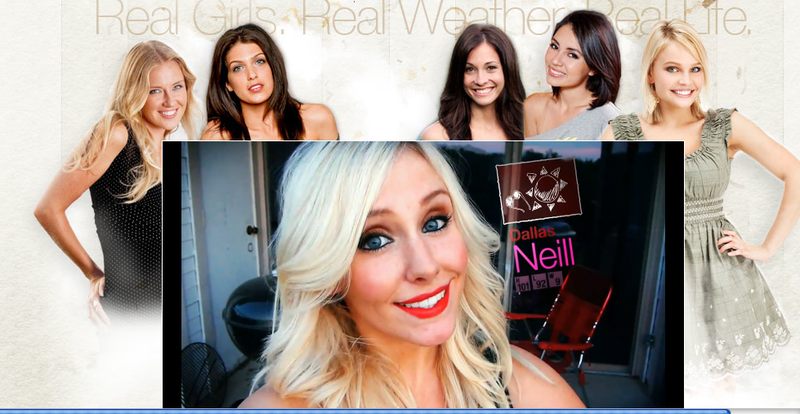 Meet the "Real Weather Girls," the world's first reality-show based app. Meet the “Real Weather Girls,” the world’s first reality-show based app. Meet the “Real Weather Girls,” the world’s first reality-show based app. OMG. The video app follows the lives of 12 women in 12 cities across the globe who “share everything from their daily lives to the newest trends in their individual towns.” Carolina in the blue tube top will tell you that “If you can’t stand the heat, stay out of Miami.” Users can even ask the girls questions. For example, heading to the World Series and not sure what to pack? Ask Baily in San Francisco. Going to London for the holidays and need a great hotel recommendation? Ask Camilla. Visiting Hollywood and want to know the best place to spot celebrities? Ask Colby. The app, available on both the iPhone and the iPad, is normally $2.99 but is currently on sale for free in the iTunes store. BTW, it will also give you a real weather forecast. Considering the wild success of reality TV over the past decade, it’s probably only a matter of time before Snookie, Ozzy and Kim Kardashian have their own apps. The thought of a Heidi and Spencer iPhone app makes me fear for our future. Read next: Are the HTC 7 Trophy Windows Phones about to be recalled?